Tom Cruise reportedly demanded a lot of control on “The Mummy” and to what end? Tom Cruise is generally said to be a swell guy. Scientology craziness aside, his Hollywood collaborators often attest to what a fun oddball he is. So much so that Vulture just published a list of 19 “unsettling nice” anecdotes about Cruise. He is inarguably one of the biggest movie stars on the planet and that role comes with a certain exacting baggage, for better or worse. Case in point: the control Cruise reportedly demanded on “The Mummy,” which bombed in North America last weekend despite hefty grosses in foreign markets that still worship Cruise when he’s in action-star mode. For the record, let’s agree right now that the best Tom Cruise is hardscrabble charmer Tom Cruise, as in “Risky Business,” “Jerry Maguire” and “The Firm.” According to a blunt Variety piece. “The Mummy” is “a textbook case of a movie star run amok.” Cruise reportedly requested a script rewrite that amplified his screen time, supervision over the editing process and input in Universal Pictures’ marketing strategy. Sources also told Variety that Cruise “micro-managed” the set, dictated shots to director Alex Kurtzman and pushed for a June release to coincide with summer blockbuster season. That’s a lot for an actor without a producing credit on this project. But Cruise hails from a distant era of moviemaking, you know the 1980s and ‘90s when stars were the guiding force behind most of Hollywood’s business model. Actors and actresses used to drive the film economy (think Cruise, Julia Roberts, Bruce Willis, Mel Gibson, Robin Williams); now that’s the duty of superheroes, franchises, reboots and adaptations. With great paychecks came great power but those days are largely over. “The Mummy” inaugurates Universal’s Dark Universe, a lengthy series of monster movies green-lit before the first installment even opened but Cruise seems to have turned this film into a standard action vehicle for himself. To be fair, some insiders told Variety that Kurtzman was in over his head, so perhaps Cruise’s know-how was necessary. Whatever happened, the movie reviews were scathing. Cruise clearly wants to remain a moneymaker in a landscape that doesn’t make that as easy as it once was. Maybe that’s why he’s suddenly so keen on a “Top Gun” sequel 31 years after the original. He had the biggest hit of his career, “War of the Worlds”, one month after his image damaging appearance on Oprah Winfrey’s couch but his movies have since been spotty at best. 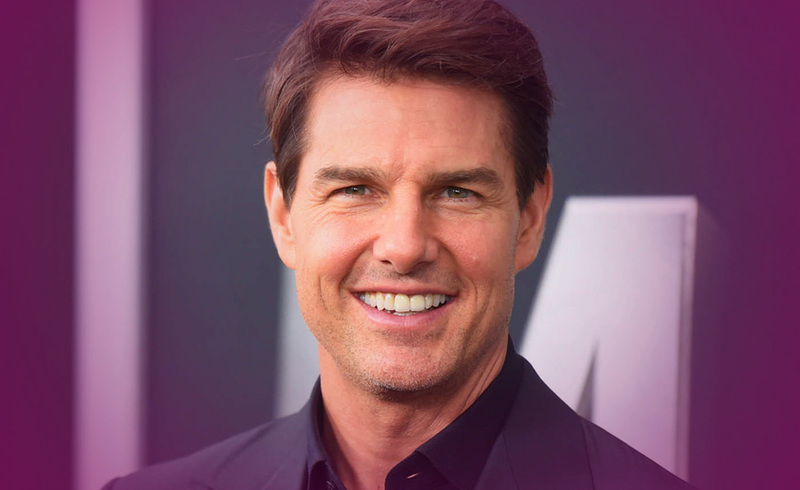 Cruise seems uninterested in playing the romantic leads and hard-working everyman that once defined his career, roles that offer a dose of humanity that action spectacles do not. And no matter how excited you are for another “Top Gun” or “Mission: Impossible” installment, there’s no denying that Cruise has sought some sort of higher plane in Hollywood, a look-at-me-go-I’m-an-Operating-Thetan-(Scientology term) or-whatever confidence that shortchanges the talent he possesses when not attempting gravity-defying stunts. Even if he is still the nicest guy on the block, it’s hard not to pine for the old Tom Cruise with depth of heart. Cruise has a notorious reputation for being a control freak in just about everything he does. I am sure Universal was well aware of this but needed his star power to push the movie and turned a blind eye to him making yet another Tom Cruise star vehicle. This card is about going with the flow of life changes. Since drawn inverted it supports that is something Cruise is incapable of. Lol! This card is about disappointment in a life situation and letting go of the past. I feel Cruise is fully aware he does not have the box office appeal he had when he was younger and now competing with younger stars so he is staying with a movie format that always works for him, action packed! This card is a man who is hell bent on success but very secretive about his true emotions and motives. I believe this represents Cruise but being drawn inverted supports my statement above that Cruise is well aware his star power is dwindling as they all do but by sheer will, keep it shining as bright as he can until whenever.